Embedded below is a google doc with tons of info on DCC. If you can't see it, follow this link. Want to give feedback? Claytonian at the gmails. Since Something Something 2d6 uses word combinations to make words, my eyes perked up when I read this post at TRR about using crosswords to define how to research spells. I have an alternate take on that idea, that uses free-form, level-independent spells. 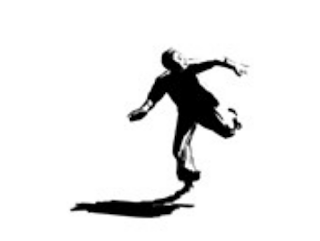 I'm going to use T's image to kind of illustrate the idea, but like I said, this is an alternate take, so bear with me. Here are the changes, listed as system from the ground up. So not so much changes to the TRR system as they are inspired ideas. Each wizard (or multiclasser wizard) starts their first level with one word of their choice, their eureka concept, that they want to learn (they gots no magics till they do, in fact). As soon as they learn it, they can start using it to cast spells. So you could, for instance, chose to go for "run" or "rune", but run would be easier to learn and do vastly different things than rune. However, longer words might be more advantageous for your repertoire-building (see no. 6). You could later expand run to be rune, runner, runny, etc (see no. 7). The player (not the DM), writes the word they intend to learn on a grid (maybe even a copy of a scrabble board). Each time they find a valuable or hard-won tome, curio, or reagent that can help them learn a letter of the spell, they can take a week to study it and check off a letter from among their words (this is when you get the satisfaction of using pen to fill in a crossword). Once all the letters in a word have been learned, it can be cast as a spell of its name. For instance, if you learned SEEK, you could tell the DM, "I am casting SEEK to try and divine the location of something". If you have done the scrabble option, maybe they have +x to cast it, deal damage with it, or to its efficacy, depending on what kind of elf-game magic we are talking here (in SS2d6, you have to beat DC 7 to cast basic spells, but I digress). Now then, since the player is in control of their arcane interests, if they want to start studying a word that shares a letter with any current words they are learning, that's okay. The PC names these words too. Any overlapping letters are learned for both spells only once. 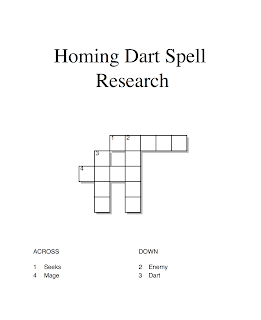 So for instance, if you were using the pictured Seeks Enemy Mage Dart spell, and you were to learn the E from 1, you would also have it for free for 2. Players can elect to modify their words later, adding letters (i.e. change "dart" to "darts"). They just have to be careful to not negate any previously learned words that share letters by somehow messing up their spelling. If it can't be done in Scrabble, don't do it. Players can elect to start new words elsewhere on the grid, no problem, unless you are using Scrabble. If you are using Scrabble, be sure to give board square bonuses and give the PC seven starting letters from a Scrabble bag to make them feel better about the fact that they might one day run out of ways to add words. You could use these rules for alchemists, clerics, etc, with a little adjustment. Imagine mixing two chemicals or prayers to make an interesting effect. There's an RPG challenge going around like a squamous thing from times primordial. As you know, I cannot resist the siren's call of such forbidden joiningness. The Internet has an inexhorable pull. The challenge is to list five RPGs that changed you. 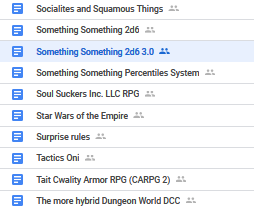 Listed in this web journal to-day is an account of my harrowing experiences with a quintet of ineffable RPGs that should not be. At first, I found the central mechanic, that of using cards to contsruct a pony avatar, quite charming, but a sinister development soon reveals itself when you sit down to make a diminuative, equine construction. Little could I and my assistant guess that the being we created would soon develop beyond our control. She wanted more parts, and heaven help us, for we gave them to her. A hoof here, an ear there, and all too soon she had developed beyond our control. With her new-found appendages came an inhuman averace. In the end, I ran screaming from that game table. Woe be to those that open the appendia and gaze upon the optional rules. That which conceals itself as a fun LARPing experience seems to be in actuality an esoteric ritual performed by the unwhitting players. If that tunnel complex had been larger, perhaps a touch more cyclopean in its contruction, we might have lost even more than we did. Poor Tom will be missed. Whilst I was perusing the dusty volumes at the back of the Miskatonic University library, I happened upon this one, and, intrigued by the logo--which seemed to have some sort of mercurial hologram that changed when I looked at it from different angles-- picked it up. The library was closing so I didn't really get a chance to examine it closely until midnight. As I pondered over those pages in the dim candle-light my roommate "Ogre" would deign to let me use while he snored in a rather ranine manner, I made connections that bring me to the brink of revulsion to this day. The central mechanic seemed to be using the letters O, S, and R as the beginning letters of your actions to accieve tasks, but this deceptively innoculous exercise has horrific ramifications. Once you use one of those words in the game, it seems to gain power. Impossible, I know, but soon I started to notice changes to my environment. Never again can I be at ease around things like Oranges, Sunglasses, or Raisins, to name but a few things. Luckily, these objects seem only inimicable to my local gaming group, for now. Oh, my, I think I hear an Oboe scuttling by just now. I must hide. Now, I want to assure you, gentle reader, that I have never engaged in this game as a player, but when I heard of this back-woods RPG played by inbred hillfolk of rural New England, I traveled against my better judgement to the place where it was rumored to have issued from. In the town of Ozcruk, a young attendant at the gas station surmised my intentions and tried to warn me away. He explained that like me he was an outsider and merely worked in town for summer cash, but that he had seen things. Strange, hunched over figures, that can be glimpsed in the tree-line at dusk. "Sir," he implored me, "don't go looking into that game. There are things slightly less horrible. Have you tried FATE?" But in my hubris, I ignored the youth, parked my automobile in a secluded spot, and treked through the woods until I chanced upon the foul activity the locals call Rat Guts. At first, it seemed like any quaint hill-nerd occasion, with an abundance of Mountain Dew and Monty Python quotes, but soon the game started in earnest, as I spied on through a hole in the walls. The players dipped into what should have been a bag of Cheetos and produced a live rodent. I shall not go into gory detail about the gameplay that followed, but a strange part of me, a shameful part, thought the divination the game referee performed as he examined the splatter patterns was fascinating. I could see the reasoning, mad as it was, behind the +2 bonus for spleen distance. Suffice to say, I was lucky to have been able to sneak away with both my sanity and body intact. A scientist-friend introduced this one--part parlor game and part dissertation-- at a dinner party, and I am rather luckily that I decided to just watch, rather than participate. I guess my scepticism of homebrews saved me this time. 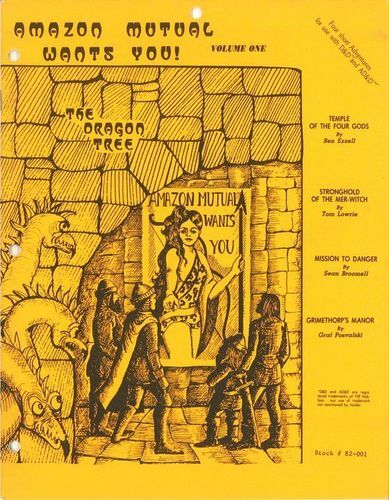 It was a most intriguing system, wherein the players took a certain pill--that our friend assured us he had developed himself and was completely safe and its effects temporary--in order to expand their consciousness and enhance their immersion as they advanced in the plot. To his horror and mine, the participants could not stop roleplaying. To this day, they are locked away and bound in straight jackets, muttering about getting that pie away from that orc. I'd rate the adventure he ran at a 4 out of 5.